The County Government of Nakuru is on the spot for bundling up more than 42 street children and dumping them in Baringo County. According to one of the children, they were arrested on Wednesday evening from Nakuru Town before they were driven to Torongo area. They further divulged that the officials rounded them up and harassed them after accusing them of dirtying the town and terrorizing residents. Another one of them, urchins, expressed his surprise after he narrated that the officials who bundled them up had assured them that the young ones would be taken to primary schools while the older ones to technical schools. The street urchins are reported to be between the ages of 12 and 26. Addressing the issue to one of the media houses, Devolution County Executive Lawrence Mwangangi could neither confirm nor deny if their officers were involved in the puzzling act. “I will investigate, because it is not clear. The street children may have been ferried from Baringo County. Therefore, l can’t tell whether our officers were involved,” Mwangangi mentioned. 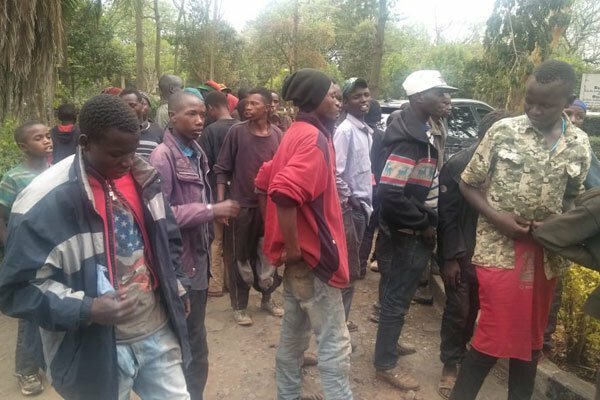 Mumberes Assistant County Commissioner Catherine Kerongo noted that she escorted 36 of the street children back to Nakuru on Thursday. However, six of the minors went missing during the rescue mission and police are on the look out for them. “The 42 street children were ferried by unknown people they claim were county enforcement officers to Torongo area where they were rescued before being ferried back to Nakuru,” she explained. After their return to Nakuru County, the minors were later taken to Nakuru Central Police Station before they were handed over to the county children department.